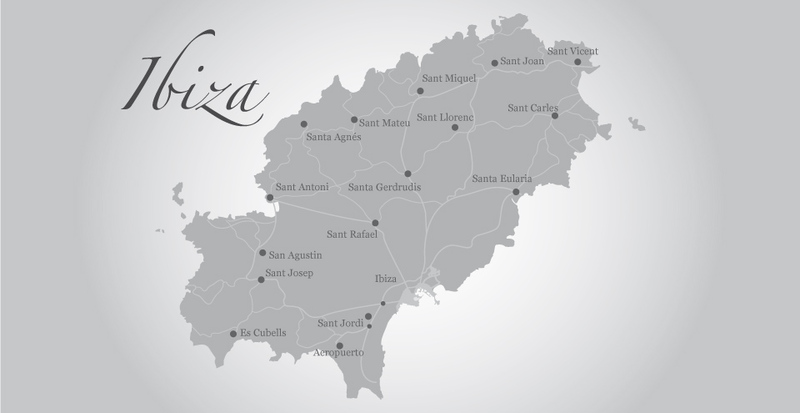 Ibiza, known as Eivissa in Catalan, has an area of 572 square kilometers and is the third largest of the Balearic Island after Majorca and Menorca. The island of Formentera is situated south of Ibiza, only about 20 minutes away by ferry. Because of its beautiful beaches and crystal clear water in breathtaking shades of turquoise it is called the Spanish "Caribbean".